A blend consists of two or more of our varietals in a specific combination. Each of our blends has been carefully crafted to attain the most pleasing flavor. 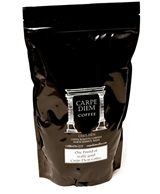 You will note that some blends have French Roasted beans in them to create a deeper, heavier brew. If you prefer the heavier roasts skip to Dark Roasts. No matter what you might choose, it will be freshly roasted and blended coffees. While our raw beans arrive from throughout the world, our coffees are roasted in Maine with pride. Classic and classy, quintessential and instinctive, balanced with exquisite care, yet full of life and flavor. Swiss Water Process. A decaf with substance and a conscience. As smooth and easy as the fog on the bay. A deep, dark blend with a conscience.